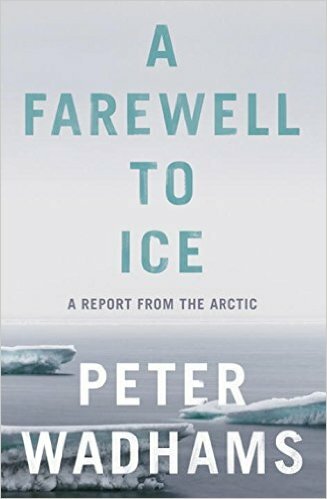 This is a really important book from a highly experienced researcher on the Arctic ice and the impact of climate change - but it falls down as popular science. A lot of material in the introductory chapters feels far too much like the early parts of a textbook. Eskimos may not really have vast numbers of words for snow (the claim seems to be based more on the word formation processes of different languages, not word count), but ice scientists clearly have all sorts of different words for ice types and formations and Wadhams feels the need to define them all, even though most will never be seen again. It doesn't help get the message across, it gets in the way. The other big problem is that Wadhams clearly has very little idea of the knowledge level of non-scientists - so, for example, he makes the remark 'the Fourier series, by which any function can be split into a set of harmonics' without thinking through that anyone who knows what a function being split into harmonics involves, probably knows about Fourier analysis - it's a non-definition. Part way through the book, we read about the author's experience of being on a submarine under the Arctic ice when an explosion killed two sailors and put everyone's life at risk. Never have I seen a better example of the importance of narrative in non-fiction. Suddenly, the whole book comes alive. But sadly this section is labelled a 'personal interlude' and in a few pages we are back to dryly related facts. I am not saying that all the book had to be based on personal experience (I generally find science books like this slightly nauseating), it's just that the author needs to be aware throughout that he is telling a story, shaping the way information is put across, and this just doesn't happen elsewhere. The message of A Farewell to Ice, though not new, is indeed very important. There is zero doubt the carbon dioxide in the atmosphere causes warming (along with other greenhouse gasses). It isn't about consensus, as Wadhams clearly shows, it is basic physics. There is also zero doubt that human activity has raised the greenhouse gas levels. The only doubt is over how fast and to what degree (literally) the warming will occur - but with the unique insight that Wadhams brings from his work with Arctic ice, we have good evidence that it is likely to be a problem sooner rather than later. The sad thing is, though, that without the kind of engaging writing seen briefly in that interlude, the only audience listening to this preaching will be those who are already converted. This a shame, because there is still a lot of good stuff here. The other place the book comes alive is in the last few pages, where the author makes an appeal to do more about climate change - but by then, many readers might have turned off. Wadhams berates 'green' organisations like Greenpeace for opposing two potential tools - nuclear power and geoengineering. He makes it very clear that it simply isn't enough to reduce carbon emissions. It's too late for that alone to do the job. We have to actively remove CO2 from the atmosphere. And Wadhams also emphasises that current technology is nowhere near good enough - we need a Manhattan Project scale effort. But such an effort is likely to come when we are feeling the delayed effects much more, and when many millions are suffering or dying. I perhaps shouldn't criticise Wadhams' book, as it will still provide ammunition for thinking environmentalists (as opposed to knee-jerk greens) - I just wish the bulk of the book put the message across better. Excellent review. 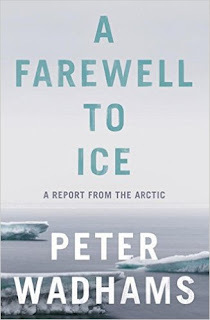 The book obviously has an important message (that climate change is happening in the arctic a lot faster than most people realize, and that it will have a major impact on warming), and especially so because he backs up everything with a great deal of real data, not just computer models. BUT it is a book for scientists and the converted, and not an easy read. Thanks - as you say, it is a book for scientists and the converted, but I don't think that was the intention, which is why it was a missed opportunity.